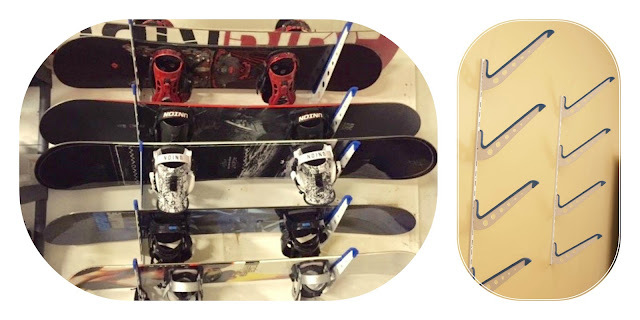 Whether you just got your first new snowboard this season or you have a collection of snowboards, check out some snowboard storage and display racks to show off your snowboards at home and store them so they keep in top riding condition this winter. Makes a great Christmas or holiday gift! 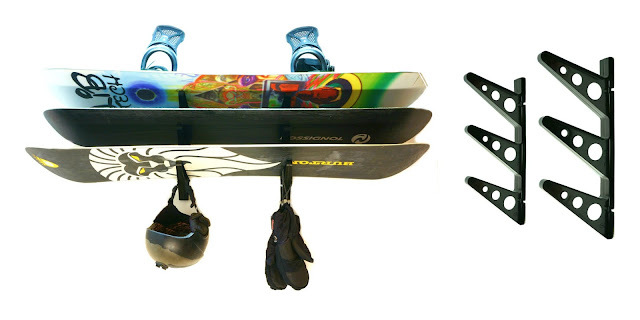 The Snowboard Naked Display Rack is our most popular display rack. 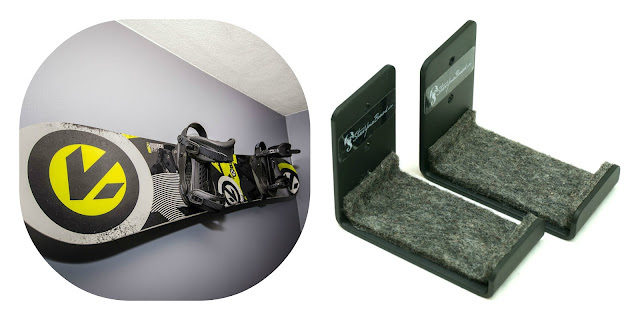 It holds a single snowboard off your wall. The rack itself is such a low profile that you'll barely notice it's there, and all you'll see is your snowboard popping off the wall. Easy in and out of the rack, so you can use it with your number 1 snowboard or a retired, special snowboard. Price is right at $19.99! 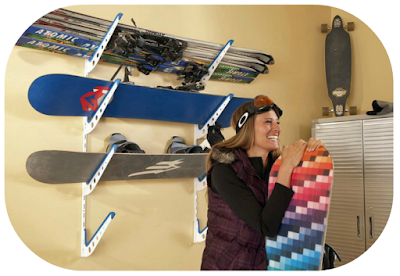 The Snowboard Garage Storage Rack has the storage capacity to organize a whole bunch of snowboards. Get your snowboards up off the ground, the corners of your garage, piled on top of each other. The Rack comes with 4 rack arms for 4 boards, and each rack arm is adjustable along the mounting track. Also - you can buy extra arms for more boards. Show your snowboards off while storing them, plus easy access when the next storm hits. The Snowboard Triple Storage Rack is another storage option, with room for 2-3 snowboards (1 without bindings). I-beam design provides plenty of strength to support your snowboards, with the aesthetics to mount in your bedroom or family room. Also a great garage or basement rack. Have more than 3 snowboards? Get 2 of these racks and stack them on top of each other! The Snowboard Cinch Rack is the simplest rack around but still incredibly effective at displaying your snowboard vertically along the wall. Use with your bindings on too. Just screw the 2 cinch pieces into the wall then slide your snowboard in and out of the wall holders. 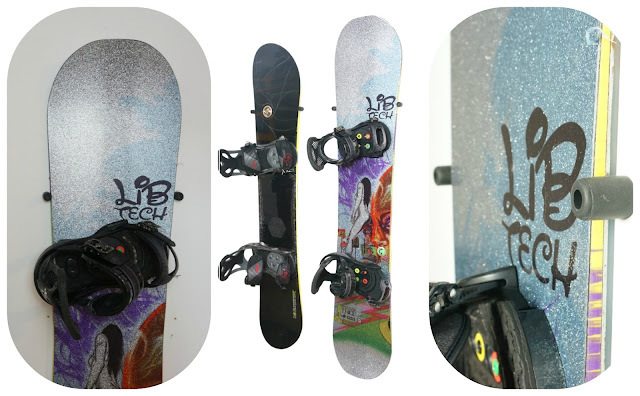 Turn your snowboard deck's art into a home or room decoration when you're not using it. And when you want to hit the powder, grab your snowboard and go!